Hello! It's Special Event Day at Your Next Stamp and this month we are sharing projects made with Franfou Designs! 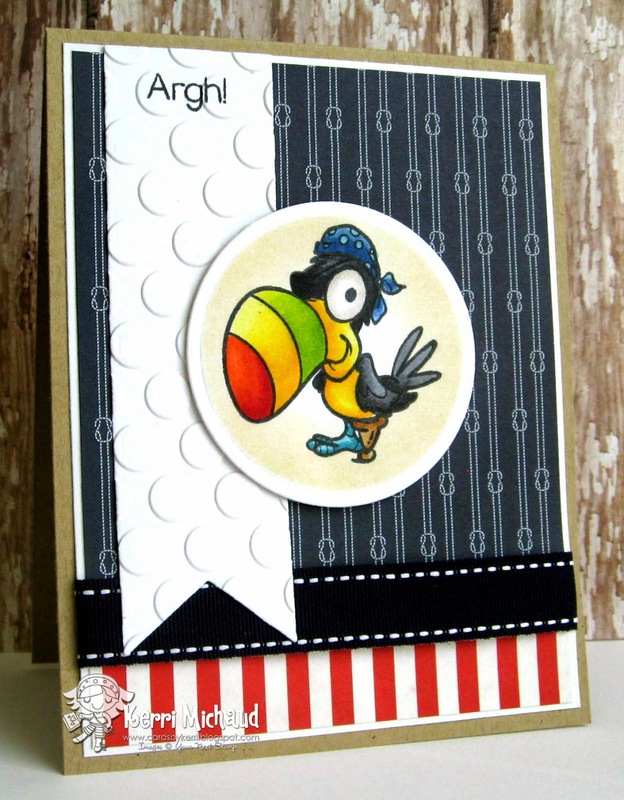 I used this adorable little toucan from the clear set Quirky Animals Set One. I stamped him with Memento Tuxedo Black and colored with Copics. I added the fishtail banner that I cut with the YNS Fishtail/Banner Dies. I stamped the sentiment at the top and then embossed with the CB Seeing Spots EF. The dp is Carta Bella Ahoy There. Fantastic card. Love your coloring and pattern choices.